What a difference a week makes. Last week we were wondering what was going on with the team following a blow up by Russell Westbrook in a blowout win against the Memphis Grizzlies, and a surprising road loss to a bottom dwelling Eastern Conference team (Cleveland). But, alas, it was probably much ado about nothing. The team was probably just road-weary after having played 12 of their previous 15 games on the road. A three game home stand is just what the doctor ordered. 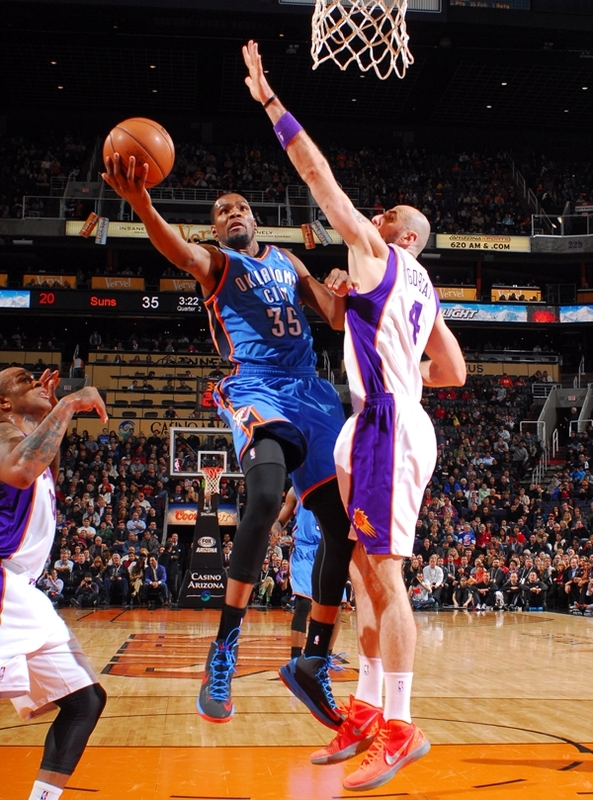 The Thunder have responded with two consecutive 21 point victories against quality opponents (Dallas and Golden State). 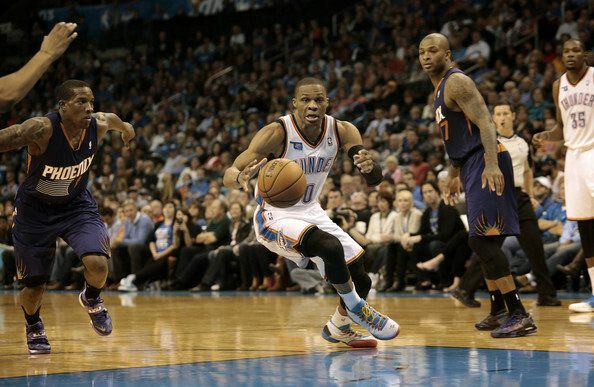 On the third game of their home stand, the Thunder will face the Phoenix Suns. The two teams come into the game on opposite end of the spectrum, with the Thunder being the 2nd best team in the Western Conference, and the Suns being tied for the 2nd worst record in the conference. The Thunder currently lead the season series 2-0, but struggled to close out the game in their last meeting. The Thunder only held a 4 point lead heading into the 4th quarter of that game, but Kevin Durant took over, scoring 19 of his 41 points in the final quarter to lead the Thunder to a 102-90 victory. 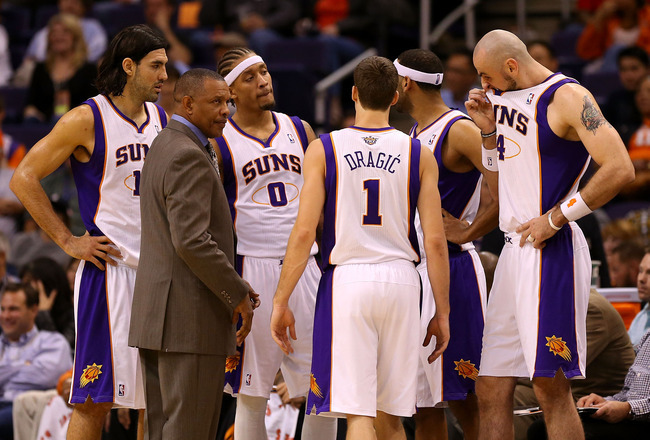 The Suns currently find themselves in the beginnings of a rebuilding process. They aren’t horrible enough to get high draft picks, but they aren’t good enough to be considered mediocre. They find themselves at 17-33, tied for 13th in the conference. They are in the bottom third of the league in scoring (95.3 ppg, 20th in the league) and scoring defense (99.6 ppg against, 22nd in the league). 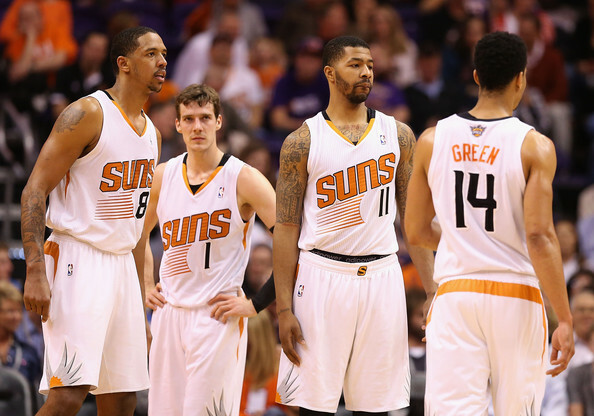 Needless to say, these are not your older brother’s Steve Nash-led Suns. The offensive attack is keyed by point guard Goran Dragic, who leads the team in scoring (14.2 ppg) and assists (6.4 per game). The front court is led by the veteran duo of Marcin Gortat and Luis Scola, with both averaging double figures in points and combining for over 15 rebounds per game. Rounding out the back court is the defensive duo of PJ Tucker and Jared Dudley. The Suns’ bench can be explosive, but very inconsistent, with scorers like Michael Beasley and Shannon Brown, and big men like Jermaine O’Neal and Markieff Morris. Contain their scorers – Sound like logical reasoning. But Phoenix’s roster is littered with guys that can become streaky and go off for 25 points in an instant. Players like Dragic, Scola, Beasley, and Gortat all have the possibility of getting hot at the right time and scoring a ton of points. Just ask the Los Angeles Lakers about Beasley going off for 27 against them, and leading the Suns to victory after they were down by 10 heading into the 4th quarter. Bench play – The starters will do their thing, but it’s up to the bench players to maintain what the starters do. In the last game, the bench allowed the Suns to storm back at the end of the 3rd quarter to bring the Suns within 4 points. 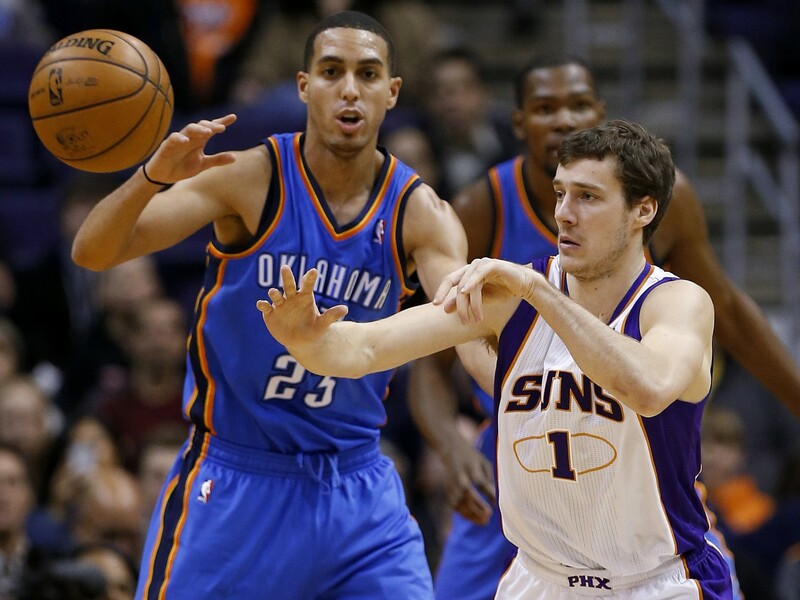 The Suns’ bench outscored the Thunder’s bench 30-19 in their previous meeting. 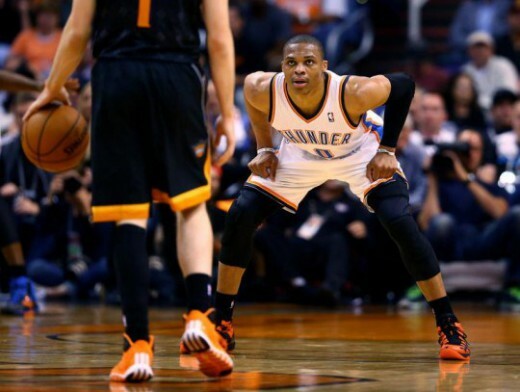 Do what you do – The Thunder are superior to the Suns in every statistical category. And they are playing at home. If the Thunder do what they do, this should be an easy victory.